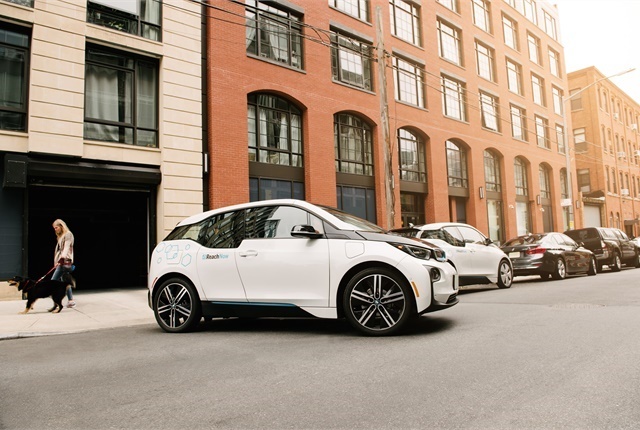 BMW’s ReachNow carsharing service will be available for residents of a condo complex in New York City’s Soho neighborhood, according to an article by Autoblog.com. The article reported residents can purchase one of 40 private parking spaces in an automated garage for $550,000 per parking space or utilize the carsharing service, which will be available 24 hours. A range of Mini Coopers and BMW vehicles through ReachNow will be available at rates starting at 41 cents per minute.